The Mission of the MCC Garden Ministry is to connect our community with God’s creation. 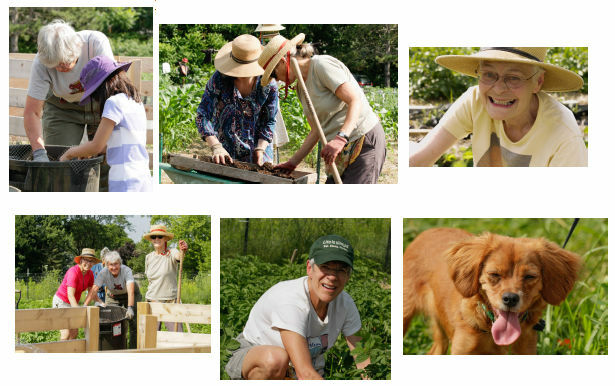 and cooperative gardening on the MCC property and related activities. 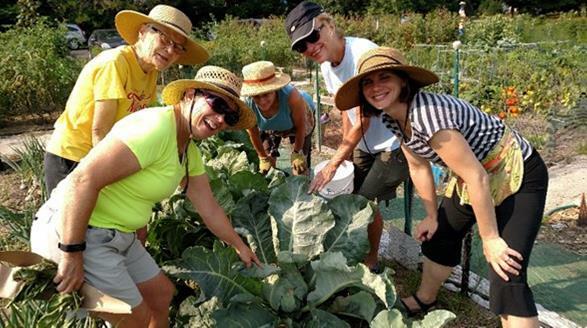 If you enjoy the feel of dirt on your hands, the warmth of the sun on your face and the joy of harvesting fresh fruits and vegetables for the Lussier Community Education Center, consider joining the MCC "Green Team." Time commitment is 4-5 hours per week from May-September. We work Monday and Thursday late afternoon. Team leaders will guide you on what to do. Jobs include watering, weeding and harvesting. As Martin Luther said " in a delightful garden, sowing, planting or digging are not hardship but are done with a zeal and a certain pleasure." For more information, contact Jean Einerson. Please remember to bring food for the pantry the first Sunday of each month. We suggest canned goods (fruit, vegetables, tuna, beef stew, fruit juice, etc.) peanut butter, jelly, cereal. Large grocery bags are needed. No pet food, please. We do not have facilities for fresh produce. 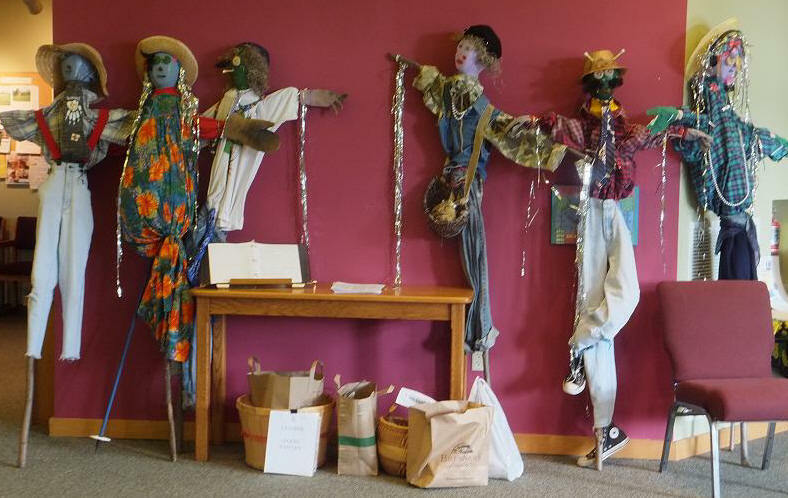 If you prefer to donate money, make checks to the Lussier Community Education Center, designated for the pantry. 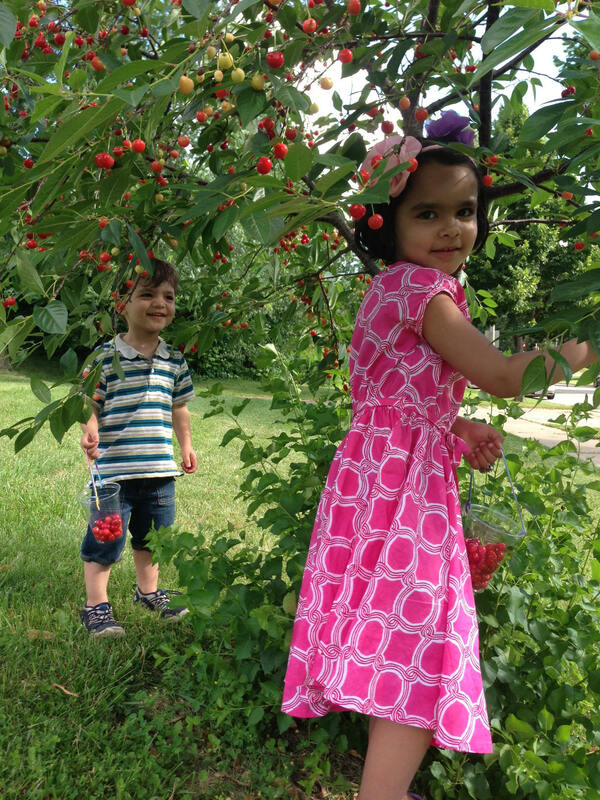 The Food Pantry Garden is having a phenomenal year! As of August 17, we have donated 3001 lb of produce to Middleton Outreach Ministry (MOM) and Lussier Community Education Center (LCEC). It took until the week of September 11 to reach 3000 lb in 2016. And we still have the “weighty” produce to harvest—potatoes, squash, watermelon, and pears. The garden provides 47 different products from asparagus to zucchini in addition to herbs and beautiful cutting flowers. Variety is the spice of life! We have group gardening 9:00-11:00 Monday and Wednesday mornings, 2:30-5:00. Thursday afternoon and some Saturdays. We work, snack, and have garden parties and great fellowship. All are welcome to join us anytime. 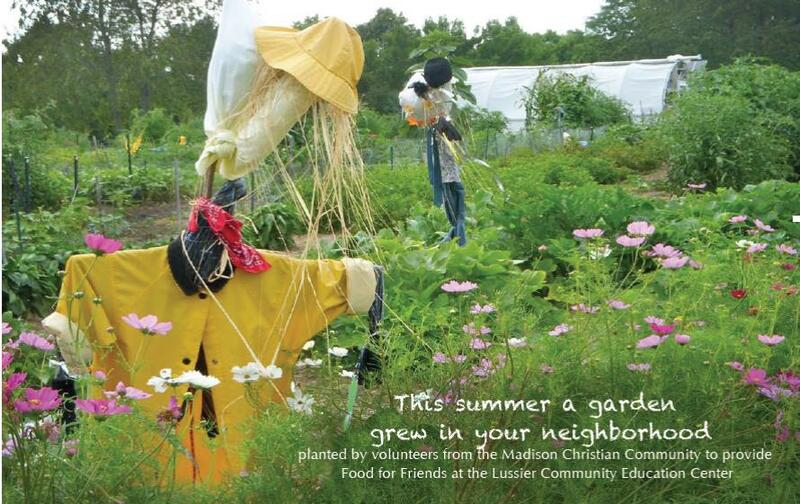 The mission of the MCC Garden Ministry is to connect our community with God’s creation. We have several on-going projects and partnerships. See page 7 of the September issue of the newsletter for more details. Click here. Katie’s garden is laid out and planted. All plants are clearly labeled. You will recognize some common herbs like parsley, basil, sage, thyme, and lavender, and find some less familiar, like borage and pennyroyal. We will compile information on the historical medicinal use of each plant once the food and cutting gardens are planted. Brush your hand across one of the pots of pennyroyal for a refreshing breath of mint. I hope you have had an opportunity to walk the MCC grounds lately. The gardens, woods and prairies are beautiful. Much happened during the month of May. Read about all that was accomplished on page 8 of the Summer 2017 newsletter: click here.